I am so excited to share this recipe! I made it on a hectic afternoon when workmen were zipping around my house and I was trying to put together dinner for my husband before getting back to work. I took a quick bite as I was heading out the door. Stopped. And turned right back around to the kitchen to eat some more. It is sooo good! I upped the amount of parmesan cheese from other similar recipes so that it would form a nice crust, instead of runny liquid. 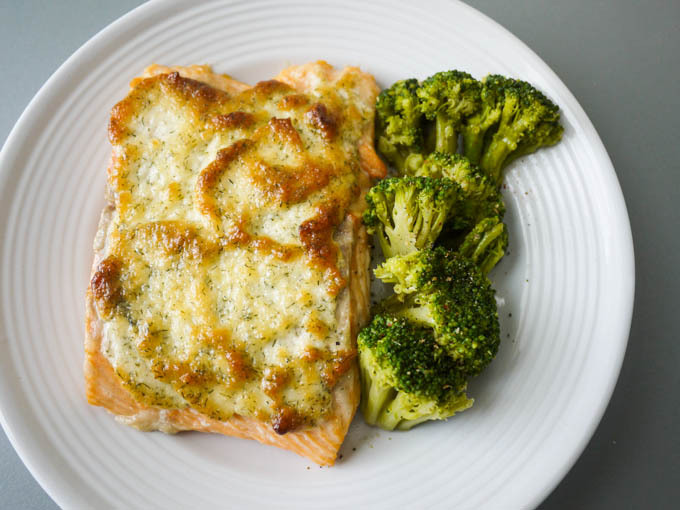 Dill is always the perfect compliment to salmon and the ground mustard provides a little background heat. 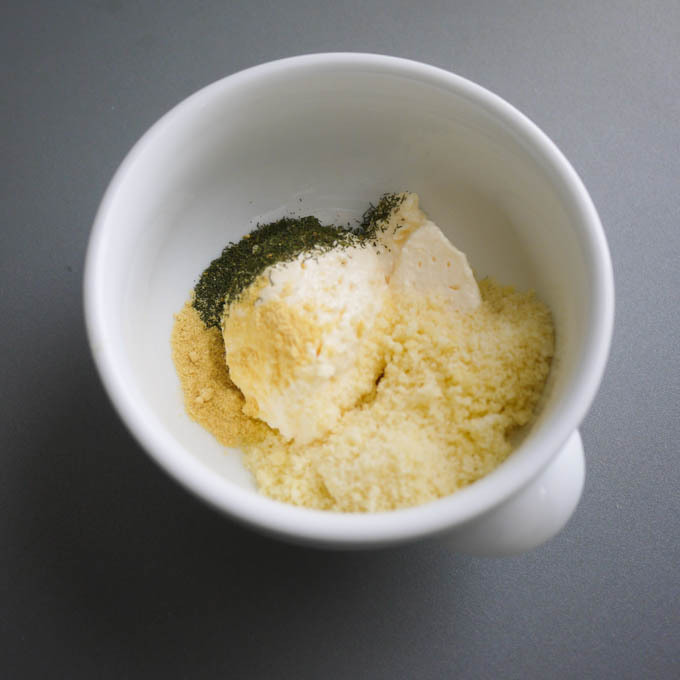 Mix together mayonnaise, parmesan cheese, dill and mustard. 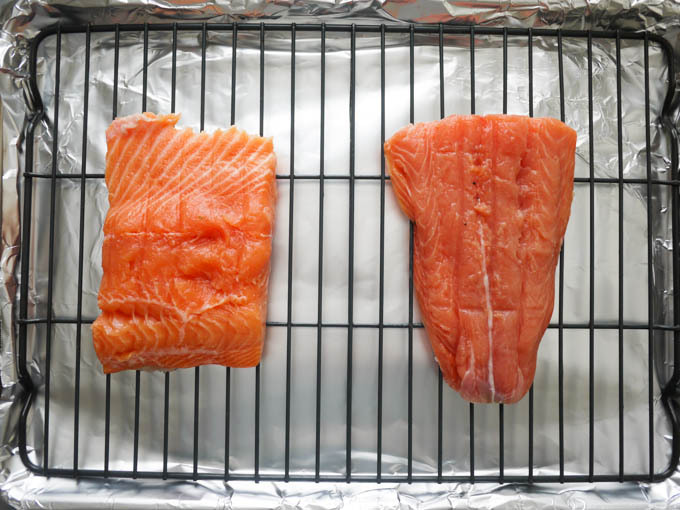 Place salmon on a foil-lined baking sheet. 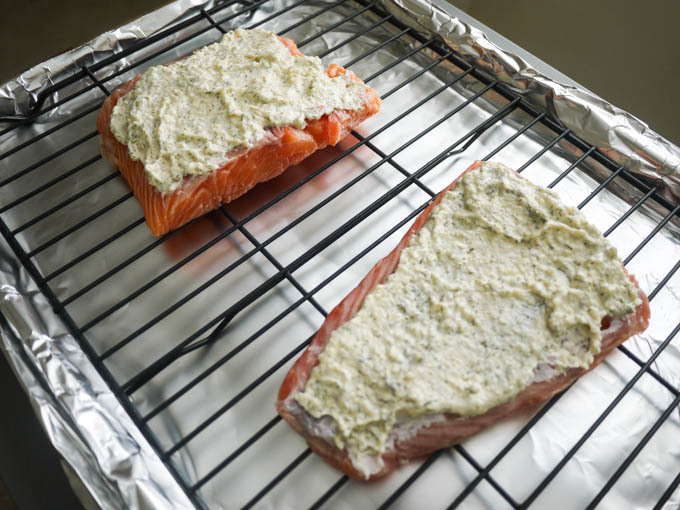 Smear half of the mayonnaise mix on top of each piece of salmon. Roast in the oven for about 10 minutes, until the crust is brown and the fish flakes easily. 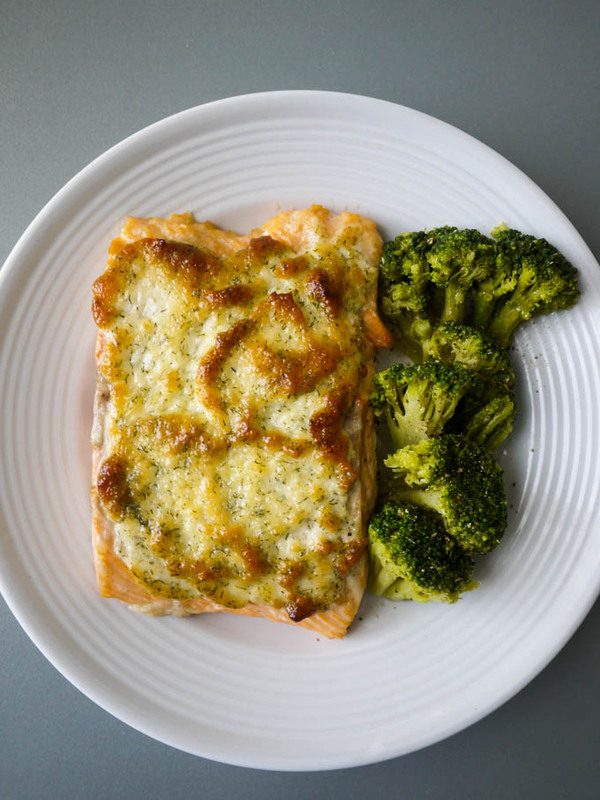 Place salmon on a foil-lined baking sheet. I took the skin off my salmon because my supermarket didn’t properly de-scale it, but you can keep it on if you like. I serve this for dinner with freshly steamed broccoli dusted with lots of black pepper. 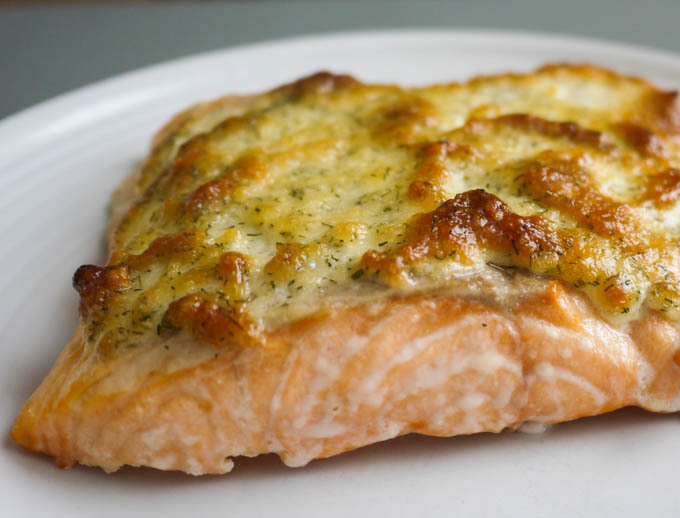 Keep your shoes nearby because once you bite into that juicy, crispy, cheesy crust and tender salmon, you will be running right back out the door for more salmon! Made this tonight and it was great! Thanks for the idea! Didn’t have dill or ground mustard so subbed in just a bit of dried basil and Dijon mustard. Put along with peas and quinoa. Will be adding to Salmon staple dishes!